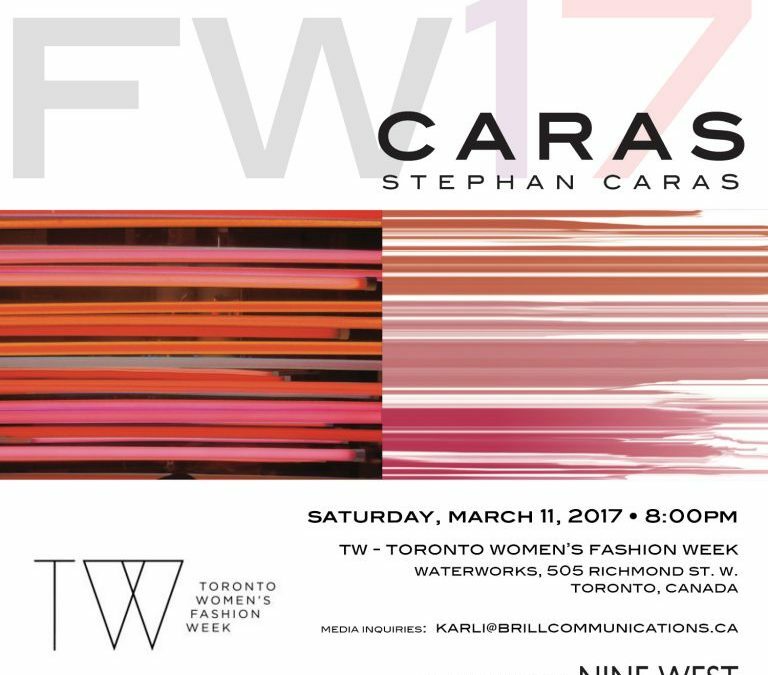 Toronto, ON – Toronto–based father-son design duo announced their return to the runway to present the CARAS, Stephan Caras Fall/Winter 2017 collection on Saturday, March 11 at 8 p.m. at TW – Toronto Women’s Fashion Week. Caras’ newest collection stays true to its philosophy of design, continually inspired by femininity and sensuality while offering an elegant and enticing exposé of dramatic lines, trailing lengths and plenty of volume. The emphasis of this season’s collection is placed on the use of luxurious textures, sophisticated lines and exquisite detailing. Plunging neck lines, asymmetric treatments and fun flirty contours connect to create dramatic silhouettes. The collection seduces through the use of bold colour palettes in floral, ash gold, and silver undertones. It is inspired by opulence and femininity. “Our philosophy has always been to create collections that are feminine and sensual. For Fall/Winter 2017 we showcase a vivid palette of colour that emphasize opulence. Sleek shapes achieve a balance between elegance and drama.” added co-designer Kyriako Caras. Signature CARAS gowns made of silk taffeta and luxurious beaded lace reign in a fluttering palette of gold undertones, while evening wear parades pearled lace, flowing organza ruffles, opulent brocades, and form fitting jersey. The collection creates drama and shows that a woman can have fun, and be elegant and sensual all over again. Kyriako Caras was born into the world of fashion. At age five, he joined his father in Jeanne Beker’s first interview with a Canadian designer. He has developed a complementary sense of artistic expression and now designs alongside Stephan. Kyriako has a bachelor of arts in archaeology from the University of Toronto and draws inspiration from his knowledge of culture and history. His designs often focus on fluidity and motion. 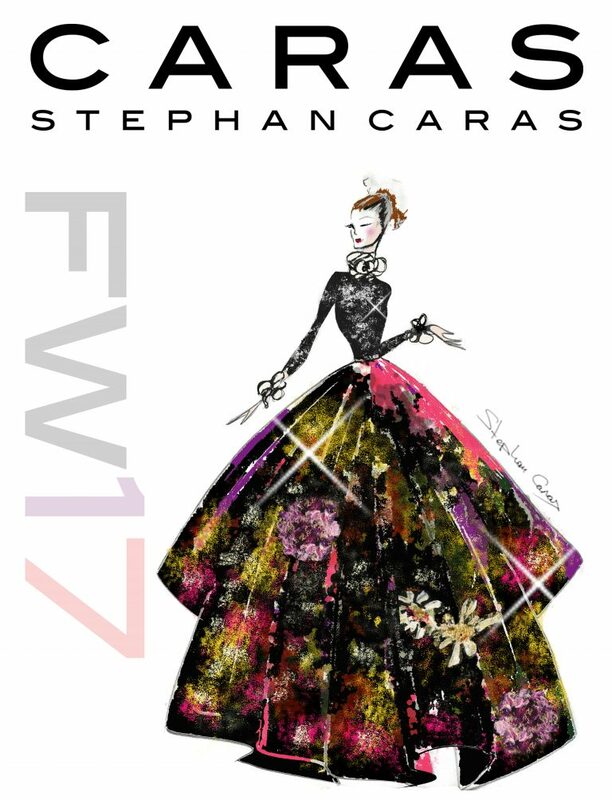 As co-designer, Kyriako and Stephan have created the collections we know today as part of the CARAS brand.